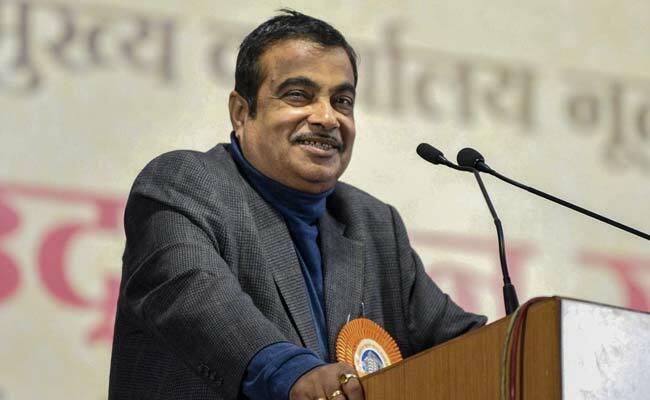 Union minister Nitin Gadkari's latest comment has once again been projected by the Congress as an "attack" on his party BJP and Prime Minister Narendra Modi. Addressing a gathering on Sunday near Pune, Nitin Gadkari said, "We do not believe in casteism...I do not know about you but there is no place for caste in our five districts because I have warned everybody that if anyone talks about caste, I will thrash him," said Mr Gadkari who represents Nagpur Lok Sabha seat. 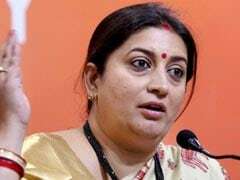 The Madhya Pradesh Congress tweeted NDTV Khabar's report on the minister's comment and said Mr Gadkari had once again "directly attacked" Narendra Modi and the BJP. "Gadkari Ji has spoken out against the politics of religion - a policy followed by the BJP," said the tweet, adding, "When will you thrash those who ask for votes in the name of Hanuman Ji's religion?" Several BJP leaders recently made comments speculating on the caste of Lord Hanuman. Former BJP parliamentarian, Savitri Bai Phule had called Lord Hanuman a Dalit. "Lord Hanuman was a Dalit and a slave of the manuwadi people...," she had said. UP minister, Laxmi Narayan Chaudhary had claimed that Lord Hanuman was a "jat" and said his assessment was based on the fact that this popular Hindu god has traits similar to the Jat community. A UP BJP councilor, Bukkul Nawab added a new angle to the debate by saying that Lord Hanuman was a Muslim and based his theory only on the name. "I believe that Lord Hanuman was a Muslim. That is why the names of the people in Islam are almost similar to lord Hanuman, whether it is Rehman, Ramzan, Farman...." the councilor had said. Mr Gadkari's comments over the past few weeks have provided much ammo to the Congress, which reads many of them as hidden messages against his party leadership or PM Modi. Congress chief Rahul Gandhi had posted a comment taunting the Prime Minister after Mr Gadkari had said, "one who can't take care of his home...cannot manage the country." The minister was apparently advising a person who wanted to work for the BJP and had shared that he had closed his shop because it was not doing well, and that he had a wife and children. On the weekend, Nationalist Congress Party leader Sharad Pawar had said that the growing buzz about Mr Gadkari as an alternative to PM Modi has left him "worried" about his friend. "He (Nitin Gadkari) is my friend. We have worked together. There is talk about his name being pushed (as an alternative to Narendra Modi) and because of that I am worried about him," news agency PTI had quoted Mr Pawar as saying.